Since we launched our VR & 360 video production lab earlier last year, I’ve had a lot of fun producing 360 video content for some truly awesome brands such as Bowmore & Virgin Media. However, with all new technologies, there are always hidden challenges and pitfalls lurking beneath the surface that as a producer I’ve learnt to navigate along the way. So to help you make the most of this immersive medium, I’ve pulled together a few hard-earned tips and tricks to consider when producing 360 videos. Finding a director with good 360 experience can be a challenge. Luckily at Pebble we’re fortunate enough to have our very own in-house 360 and VR director ‘Toby Barnett’. So after bribing him with a couple of Macchiatos (and a plate of biscuits), I convinced him to share some of his top 360 directing tips. 360 films allow you to completely transport viewers into another world, a world that can almost convince viewers they are a part of. This can be immensely powerful and can trigger far more emotive responses than normal films. I find that the best 360 videos really embraced this, evoking the same level of emotions you would feel if you were actually there, be that fear, intrigue or passion and a whole host of other emotions. To achieve this effectively though, it all comes down to perspective and treating the camera like it is part of your story, rather than a passive observer. The Jungle Book 360 teaser does this magnificently. Perhaps this is the most significant difference to traditional film production. For viewer’s brains to adjust and to feel fully immersed takes time. I don’t mean minutes, but a few extra seconds per shot allows viewers the opportunity to fully explore their surroundings and attaches them to their new reality. Trade secret! Even though you’re creating a 360 video, 90% of the time, there will be a primary point of focus for your audience – whether that’s a presenter, object or action. Most likely you will be using a multi-camera rig, in which case it’s super important that you choose a lead camera and have it directed front-on to your subject. Although in theory it shouldn’t matter, it means you or your editor aren’t stitching between two cameras on your primary shot. Unlike normal directing, with 360 videos we’re restricted to wide angle shots. This has a big impact on the way I frame my shots, especially when filming people, actions or events. In short, don’t be scared of getting up close and personal to the action to secure the best shots. When filming subjects, I would recommend placing your camera rig between 1-2 meters away for best results. When it comes to lighting your 360 shoots, the general rule book just doesn’t apply. First, there are the practical implications of rotor-scoping out lighting equipment, which can be a serious pain, especially when you’re dealing with moving camera rigs. My advice would be to do your homework upfront, pick locations with good amounts of natural light and carefully plan the time of the day you’re looking to shoot. 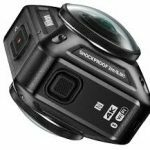 What 360 Camera equipment do I need? 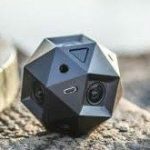 Ok, what I’m about to talk about might sound a bit techie, but honestly, having the right equipment and software is pretty key if you want to produce a knock-out 360 video. Disclaimer… I fully expect this part of the article to date pretty quickly, as new cameras seem to be released almost on a daily basis. For a lot or amateur and professional film makers out there, a popular set-up has been combining 6 GoPro Hero 4 cameras with a freedom360 mount. This has certainly served us well for a lot of our shoots, however it’s not without its limitations. The biggest and without doubt the most challenging is stitching ‘moving’ footage together. For a recent 360 drone shot, lasting just 30 seconds, it took nearly us a week to accurately stitch! The other super important part of this process is data wrangling. Now with normal shoots, data wrangling (or in simple terms transferring the files to your computer) is pretty straightforward. However, with six cameras, multiple takes and often on busy shoots, I cannot emphasise enough the importance of being organised with your files and where possible employing an experienced data wrangler. 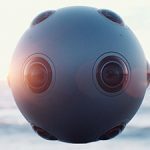 Tipped by many (including Disney) to be the future of VR, the Nokia Ozo really does pack a powerful punch, but at €50,000 a pop, you could argue it ought to be. Perhaps it’s defining feature is that it takes a lot of the hard work out for you, one camera, one memory card, one power cord! 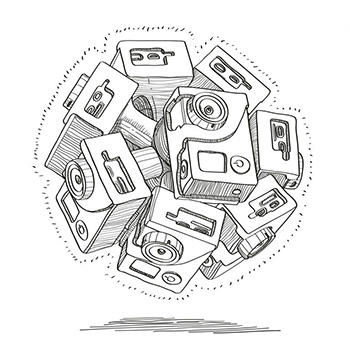 Perfectly synching your footage for you, this is perhaps at the forefront of a new generation of 360 cameras. Set for release in the autumn of 2016, my personal prediction is that the Nikon Keymission is going to bring 360 video to the masses. Affordable, durable, waterproof and compact, the Nikon Keymission is keeping us on tender hooks waiting for its release. Again set for release in autumn 2016, the Spericam 2 is the first crowd-funded 360 camera to market. Set to deliver footage in incredible 4k, with automated synching and usability at the heart of its design. This is definitely one to watch! Transfer file into After Effects for final grade, edit and deliver. 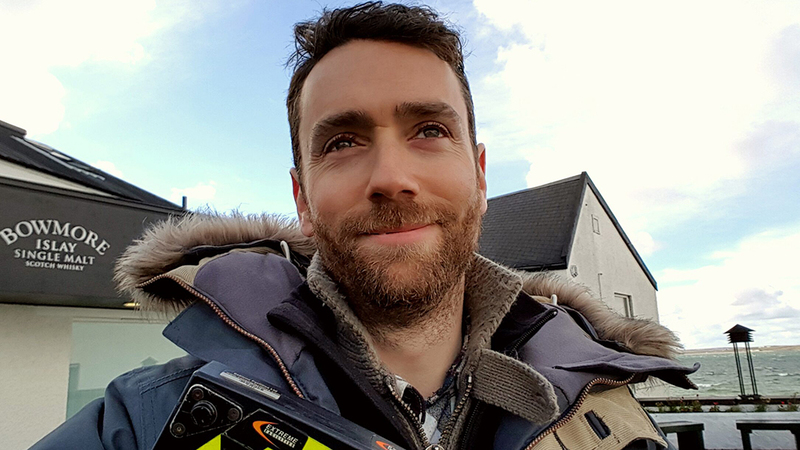 Thanks for reading and if you have any questions at all about 360 video, please don’t hesitate to get in contact: rachel.cahill@pebblestudios.co.uk.